Video made by Sarah McLellan of a turning demo I did at Practical Art in Phoenix, AZ. I'm an active member of the Arizona Woodturning Association. And a member of the American Association of Woodturners. Other woodturning orginizations in Arizona. If you are a woodturner with a web site, contact me so we can swap links. The Arizona Woodturners Association will be hosting Desert Woodturning Roundup. 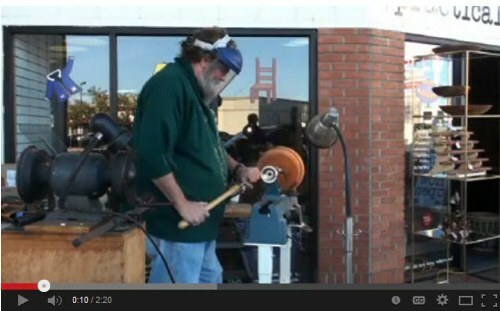 A national woodturning symposium to be held every other year in Arizona. This symposium will be run similar to other national events with demonstrations by nationally and internationally known turners, vendor booths, banquet, large instant gallery and more. Wood Central • http://www.woodcentral.com/ • One of the best woodworking message boards on the Web.